The first quarter of 2019 is going to be a busy one for Samsung. The company is gearing up to launch several intriguing high-end gadgets, including its first foldable smartphone and a Galaxy S10 lineup that will include a model with 5G capabilities. If you're itching to know more about Sammie's hot upcoming phones prior to their official release, the latest report will surely not disappoint. Today's portion of rumors gives us some juicy info about the color options for the Galaxy S10 and Galaxy F lineups. 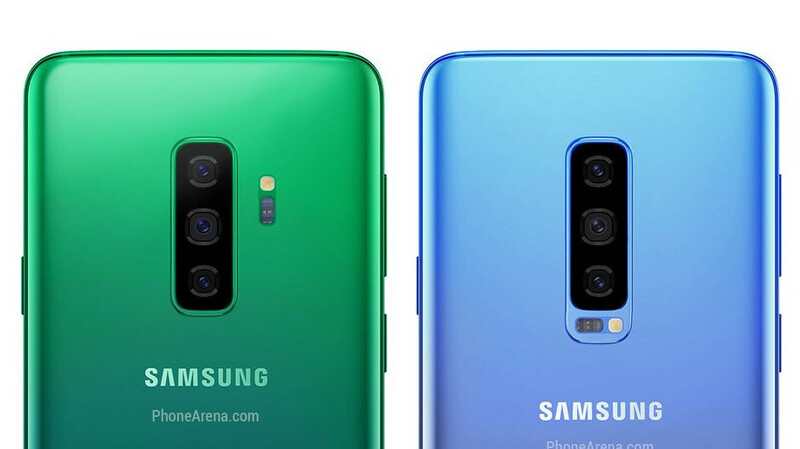 According to sources of SamMobile, the Galaxy S10 series will initially launch in white, black, yellow, and green, with some of these being gradient finishes. As for the foldable Galaxy F model, it will hit the shelves in silver and black. While white, silver, and black are fairly standard color options, green and yellow aren't hues that you'd typically find on a Samsung phone. The white, black, and green finishes were actually showcased as themes for the OneUI interface at the Samsung Developer Conference earlier this month. However, there was no sign of a yellow OneUI theme, as the other two featured options were pink and blue. Now, Samsung typically doesn't release more than 3, 4 tried and tested color options for Western markets. However, the Korean tech giant has a history of adorning its flagships in exotic shades. This is done as a type of post-release marketing strategy in certain countries, so its possible that the Galaxy S10 might be available in all of these hues in some regions. The report also contains some interesting details about the in-display fingerprint scanner tech that should be featured on the Galaxy S10 series. As you might know, we'll most likely see three S10 models next year - a cheaper Galaxy S10 Lite with a 5.8-inch flat screen, and two premium models (the regular S10 and the S10+) that should arrive with larger, curved displays. Apparently, Samsung will opt to equip the S10 Lite with a regular side-mounted digits reader in order to cut down on costs. This essentially means that the new in-display scanner will only be present on the more expensive variants of the flagship. If you'd like to see all of the Galaxy S10 rumors in one place, make sure to check out our dedicated rumor review. Side mount scanner just below the current power button position would new great! That's where the thumb naturally rests, and is accessible at all times (flat on desk).